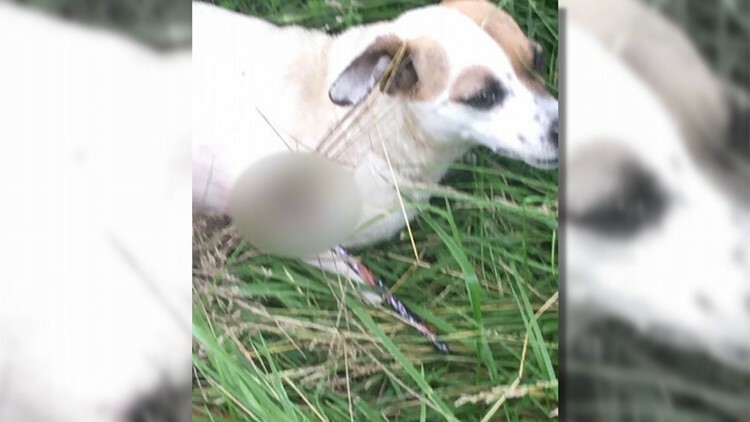 The Jack Russell Terrier was found with an arrow stuck in his hip near the Fairdale Christian Church and taken to Louisville Metro Animal Services. LOUISVILLE, Ky. (WHAS11) -- A dog believed to have been a stray has died after being shot with an arrow. LMAS sent him to Jefferson Animal Hospital, but he died on the way. So far, no one knows where the dog was shot or who is responsible. Animal control is starting an investigation.